Kickball365 will award prizes approximately up to two (2) weeks after the completion of this Circuit Event. Total amounts are based on the final number of teams participating. After registration closes, each team in attendance will be assigned a tournament seed. Each seed will be based on a teams averaged ranks (i.e. 1st, 2nd, 3rd) in each of the individual ranking systems ELO, FIFA, and RPI to generate their tournament ranking. New Teams without enough data to make such a determination will be seeded at the bottom to complete the seeding. From this initial seeding, each team will be put into a bin with similar seeded teams. The captains in the first bin will draw opponents from the second bin of teams into their pool. Then those second bin captains get to draw the third team in their pool from the next bin and so on until all pools have been finalized by captains. By contrast, the CIRCUIT SCORING SYSTEM (CSS), which awards points to registered Circuit Teams solely on their performance at Circuit Events, will be used to seed teams at the Circuit Championship Weekend. You must be at least 21 years old (as of the posted event date) to participate in this tournament and the social events planned during the weekend. You must be in good health, have adequate health insurance, and be physically prepared to compete in this event. Kickball365 reserves the right to request photo identification at the time of check-in. If you have any friends, close contacts, co-workers, or anyone else who has never played in a Circuit Event before, they will receive 50% OFF ENTRY to their first event. This program does not have a new player cap per team per tournament. Players must register using the code NEWKICKBALLER365 at the time of registration. The discount cannot be added retroactively to any registration. This option for one-time use only, meaning a female playing in two (2) events in the same weekend can only use the code for one (1) of those Circuit Events. Each team is allowed, but not required, to have a maximum of two (2) Non-Playing Coaches. These individuals are required to officially register for the Circuit Event. They will receive $35 OFF their ENTRY using the discount code NONPLAYINGCOACH365 before the same player registration deadlines. This includes signing the same waiver that all players must sign. As a reminder, a Non-Playing Coach is allowed to engage with the Game Referees ONLY if they are wearing the required Captain Band during the games. All Captains, Players, and Non-Playing Coaches are required to check-in at HQ prior to the start of their first game. All must bring formal identification (ex. valid driver's license or passport). Check-in begins one (1) hour prior to the start of the first game. Failure to properly check-in may result in a yellow card for the player and/or team captain. Approximately 30 minutes prior to the start of games for the day, Team Captains, Non-Playing Coaches, and Referees are required to attend a brief meeting at HQ. Ground rules for the day will be covered and you will have an opportunity to ask questions in an interactive environment. If you are no longer able to attend the event, please submit an email to info@kickball365.com. If submitted before the late registration deadline (at 1159pm EST/859pm PST), Kickball365 will issue a 100% LeagueApps Site Credit that can be used at any future regular Circuit Event. No credits will be granted after the final registration date under any circumstances. Kickball365 does not provide monetary refunds outside of these site credits. Get the 'Early Bird Special' until July 27. Team members save $5.00. 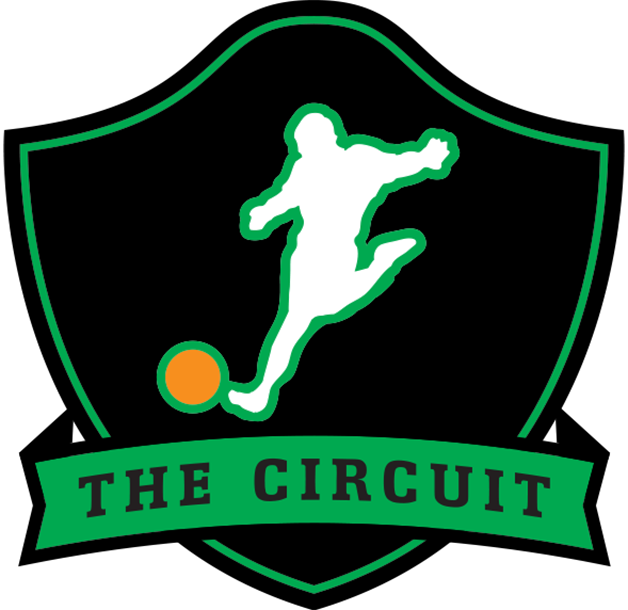 Check out this Kickball tournament '10a) Washington, DC - DC Kickball365 Open (Co-Ed Division) #DCKO2019' with The Circuit!